Offered at the Lubbock Center only. This Salesmanship Certificate program in Real Estate is designed to provide students with a specialized and practical education in real estate. 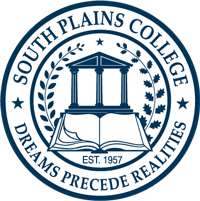 Students who complete the program will be eligible to receive a Certificate of Proficiency from South Plains College and will satisfy the educational requirements of the Texas Real Estate Commission to take the Texas Real Estate Commission Sales Agent License examination and meets the educational requirements to renew the Sales Agent license and begin or continue working in a real estate office. This is a TSI-waived program. Program advisor is Tyler Chaney, Instructor in Real Estate. *Although not a requirement for this certificate, students are strongly encouraged to take EDUC 1100 during the first semester of enrollment. Also not required, but students are encouraged to take RELE 2171 to help prepare them for the state licensing examination. **RELE Electives: RELE 1203, RELE 1207, RELE 1209, RELE 1215, RELE 1221, RELE 1225, RELE 1229, RELE 1235, RELE 2231. Capstone Experience: Eligibility to take the State Real Estate Salesperson License examination.